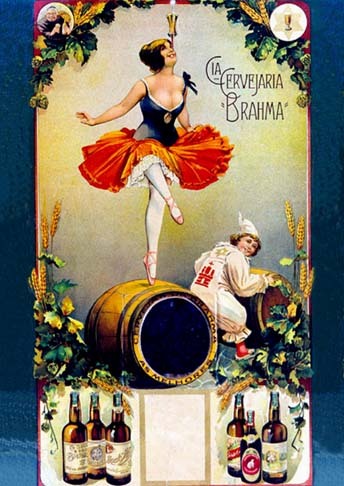 0.58 999 R$34,99 23179. - 29x 23179. 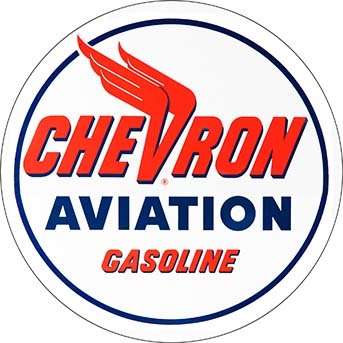 - PETRÓLEO - CHEVRON - Aviation - Gasoline - Sign - formato redondo - 29x29-. 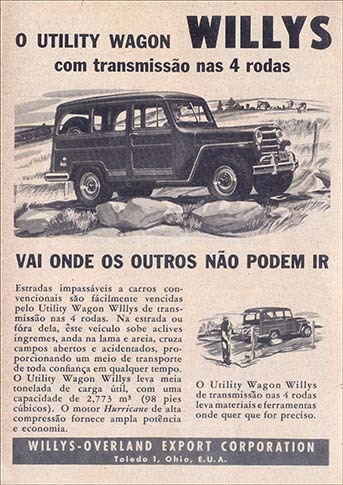 0.58 997 R$34,99 23180. - 29x 23180. 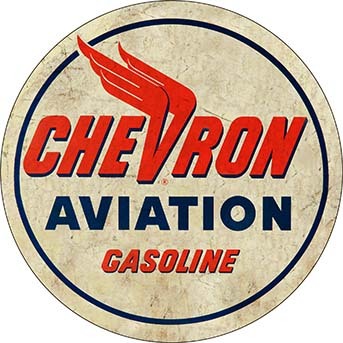 - PETRÓLEO - CHEVRON - Aviation - Gasoline - Sign - formato redondo - modelo envelhecido - 29x29-. 0.58 1000 R$34,99 23181. - 29x 23181. 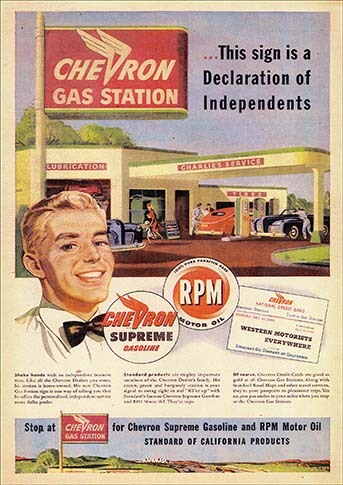 - PETRÓLEO - CHEVRON - GAS STATION - ...This sig is a Declaration os Independents - 29x41-. 0.58 1000 R$34,99 23182 - 29x4 23182. 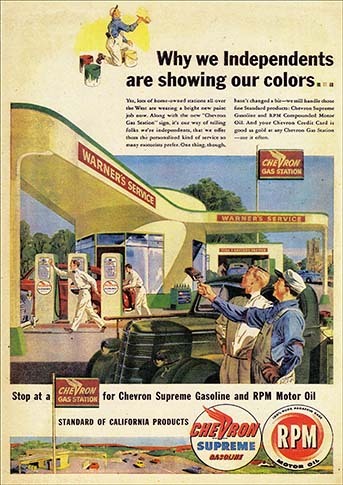 - PETRÓLEO - CHEVRON - GAS STATION - ...Why we Independents are showing our colors ... - 29x41-. 0.58 1000 R$34,99 23183. - 29x 23183. 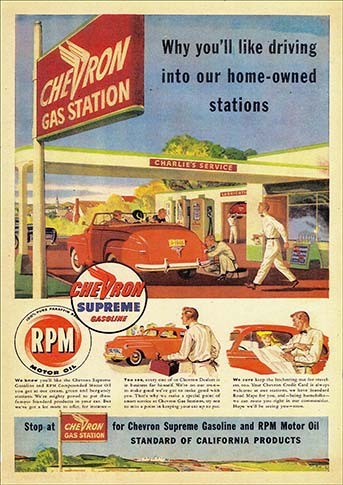 - PETRÓLEO - CHEVRON - GAS STATION - ...Why you'like driving into our home-owned stations - 29x41-. 0.58 999 R$34,99 23184. - 29x 23184. 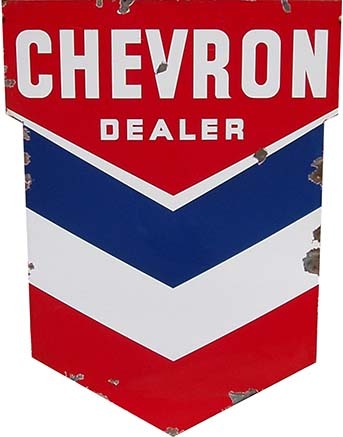 - PETRÓLEO - CHEVRON - Dealer - modelo envelhecido - 29x37-.